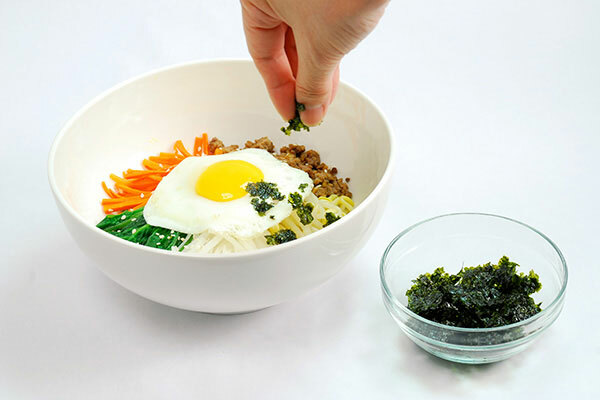 The word Bibimbap, literally translates as 'mixing the rice'...this colourful bowl pleases your eyes and your tastebuds. 1. Measure the rice accurately and place in the inner cooking pan. 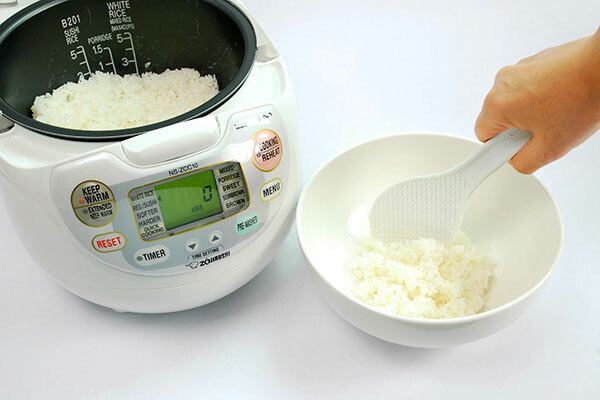 Rinse rice under water until water clears. 2. 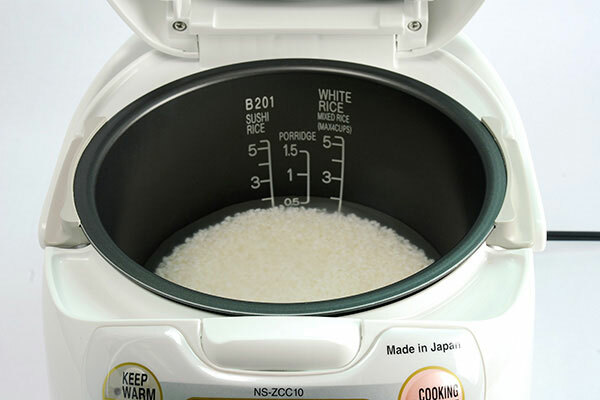 Add water by filling up to the water scale marked “2” for “White Rice”. Cook the rice using the “Regular” setting. 3. While rice is cooking, prepare the toppings. Mix 1/4 tsp. salt, sugar and vinegar into daikon radish and set aside. 4. Blanch the spinach. Drain and cool with cold water and squeeze out water. Cut into 3 inch long segments, then dress with 1/4 tsp. salt, soy sauce and 1 tsp. sesame oil. 5. Blanch the bean sprouts. 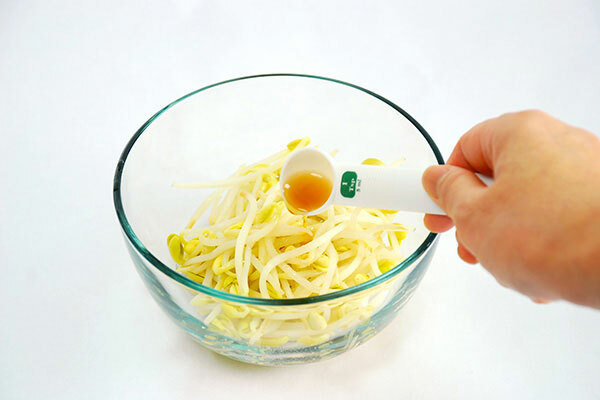 Drain and dress with 1/4 tsp. salt and 1 tsp. 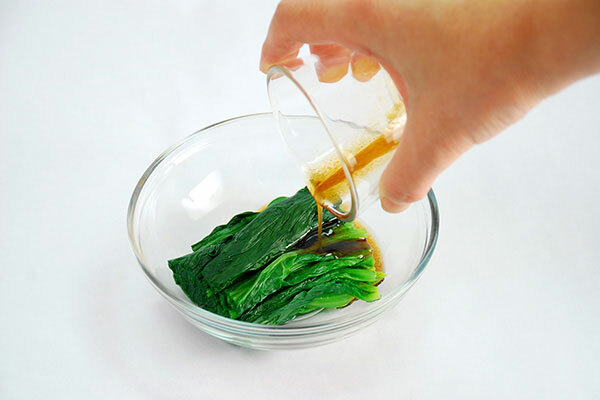 sesame oil. 6. 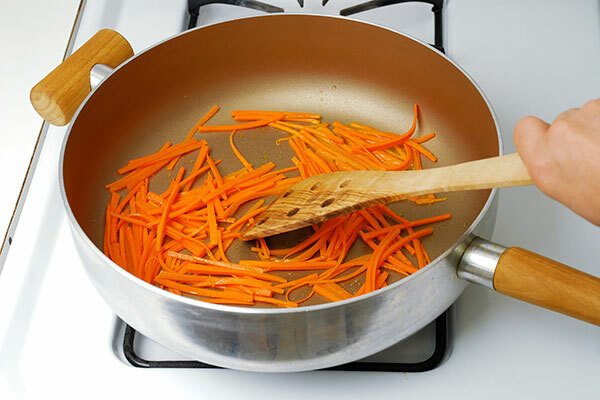 In a frying pan, heat vegetable oil over medium heat and sauté carrots for one minute and add 1/4 tsp. salt. Set aside. 7. In a small bowl, combine all ingredients for sauce. 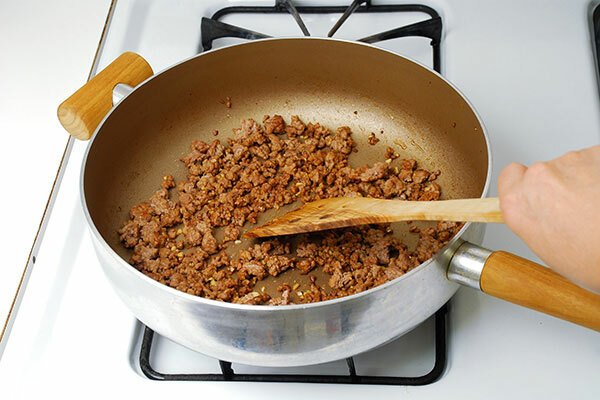 Heat frying pan, sauté ground or shredded beef for 3 minutes, add the sauce and continue to cook until all the liquid is absorbed. 8. Fry four eggs sunny side up. 9. 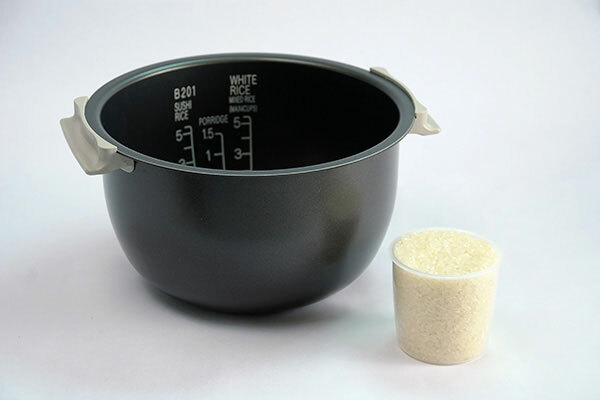 When rice completes cooking, place rice in individual serving bowls. 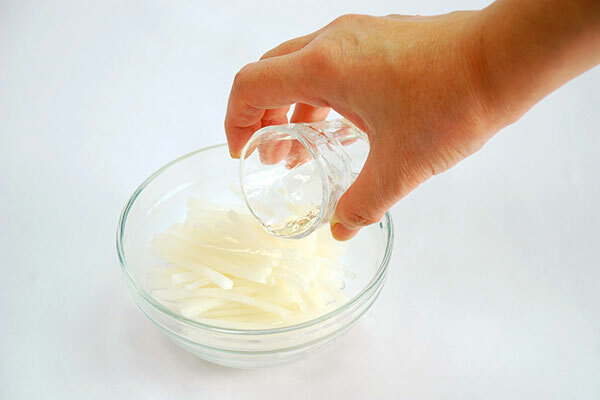 Squeeze excess liquid from daikon radish. 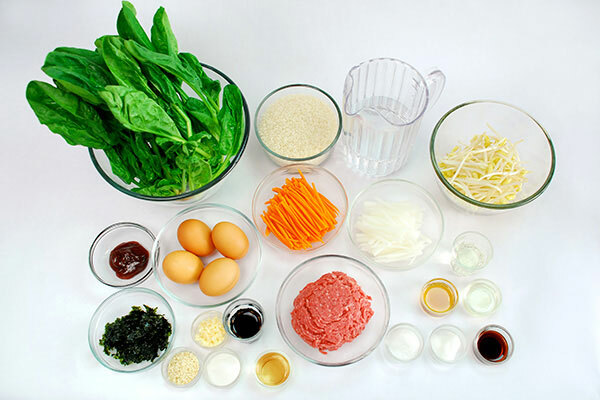 Arrange all prepared vegetables and beef radially on the rice. 10. 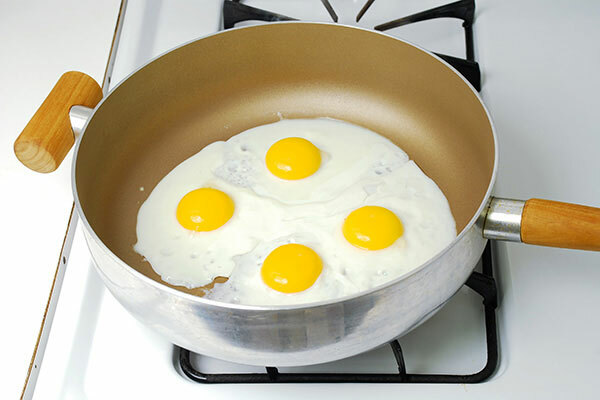 Place one sunny side up egg in the center on top of each bowl. Top with crushed seaweed and sesame seeds. Serve with gochuchang on the side.